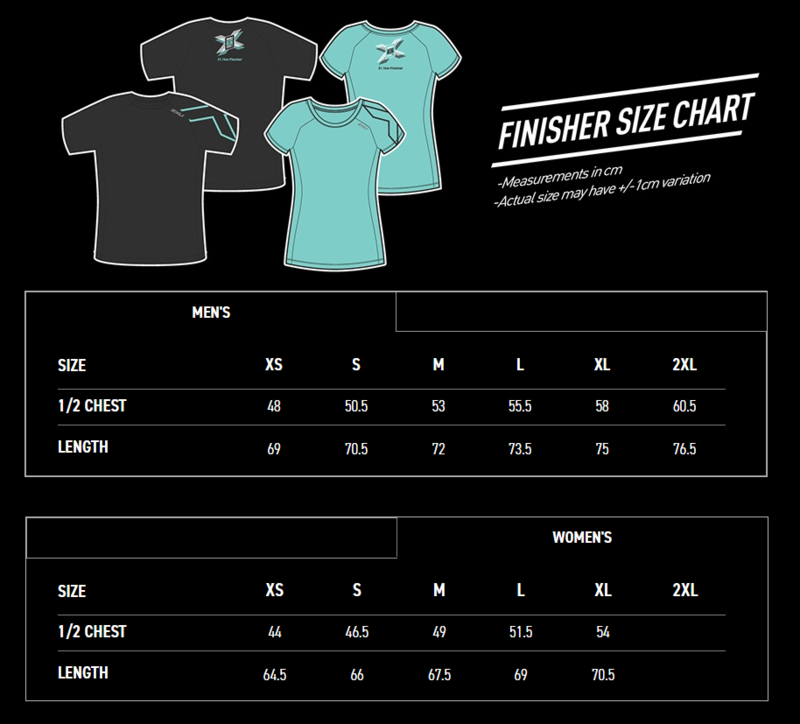 2XU Compression Run Singapore 2019 | Connect by JustRunLah! Registration is no longer available. Thank you. 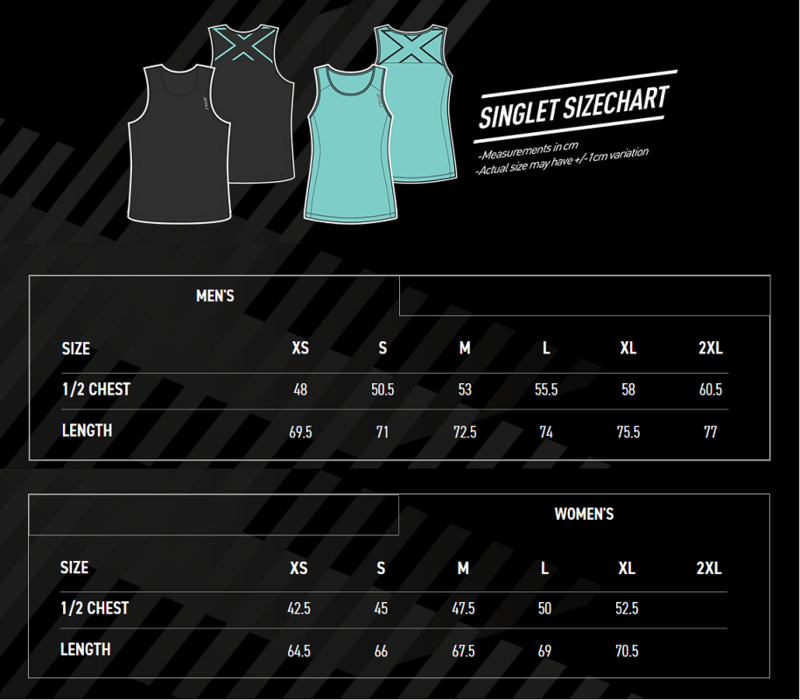 For more information about this event, please visit: 2XU Compression Run Singapore 2019 @ JustRunLah!. Build you own runner's portfolio and keep track of your progress with our Free Mobile App - download it here. Find tickets for more running and fitness events here. 2XU engineer products with the single-minded goal of best equipping the athlete, so they feel more prepared, more lethal, more capable than anyone. As they put on the technologically sophisticated garments over their bodies they also put on an attitude, to be more than they ever have been, to perform beyond expectation. With 2XU technology a piece of the finely balanced equation is in place to multiply human performance. This technology marks the beginning of a new era in sporting equipment. Our garments use intelligent physiological design, cutting edge performance fabrics and construction, derived from a race bred pedigree. From the elite athlete driving their body to its limits, to the driven business person, and everyone in between, we provide the equipment you need to magnify your natural ability. 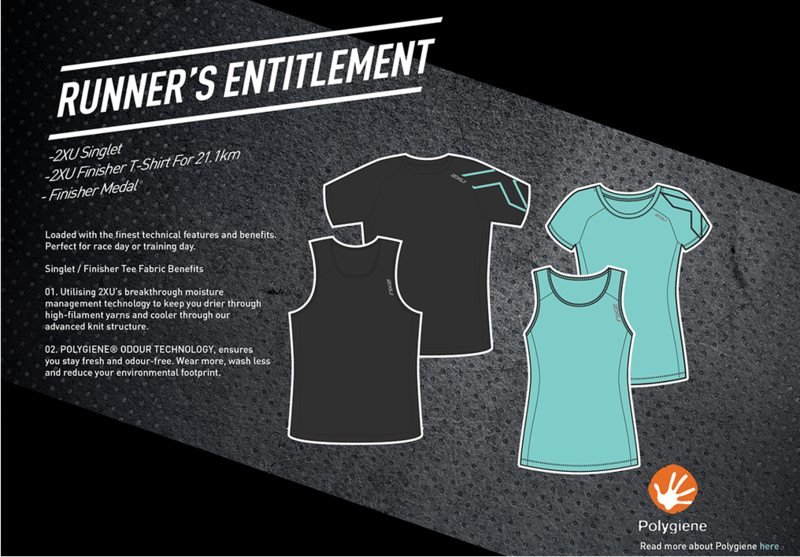 We harness every part of your genetic composition and cloak you in a layer of performance. Every product is designed and re-designed for tangible benefit. It is mandatory for all participants to collect their Race Entry Packs within the dates stated above. Participants will need to bring along a photo ID (NRIC/ FIN/ Driver’s License/ Passport) for the collection of Race Entry Packs. The Organizer reserves the right to refuse participants without the required documents from collecting their entry packs.